The MSA 140 C-BQ is the most powerful chainsaw in the STIHL Lightning Battery System® AK Series when paired with the AK 30 battery. It delivers excellent cutting performance for up to 45 minutes on a single charge and is ideal for limb removal and storm cleanup. This chainsaw is a good option for suburban homeowners who perform yard work in noise-sensitive areas. It is compact and lightweight at 8.6 lbs. with the bar and chain and AK 30 battery, and 5.7 lbs. 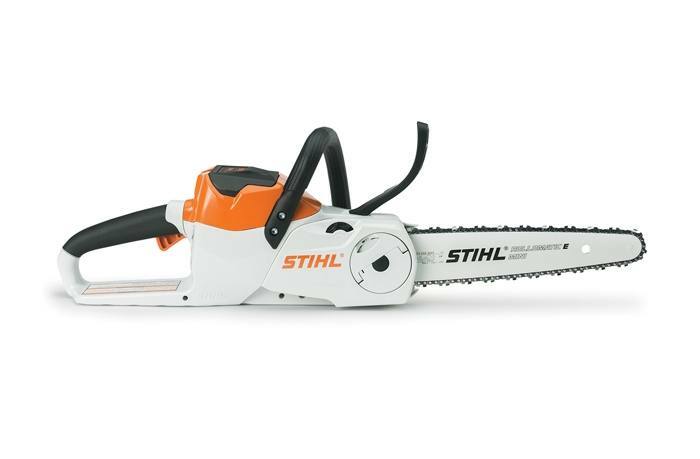 without battery, making this chainsaw easy to use and maneuver. The MSA 140 C-BQ also features the exclusive 1/4" STIHL PICCO™ saw chain which assures clean, smooth cuts, and has a high-torque brushless motor delivering ideal speed and durability for a virtually maintenance-free service life. 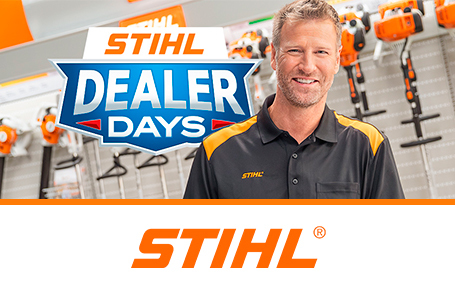 STIHL Quickstop® Plus (Q) - an additional chain braking feature: STIHL offers an additional, manually-activated chain brake on some models. This system is designed to engage when the operator's right hand completely releases the rear handle, stopping the chain within one second. Available on some models. : See it in action!